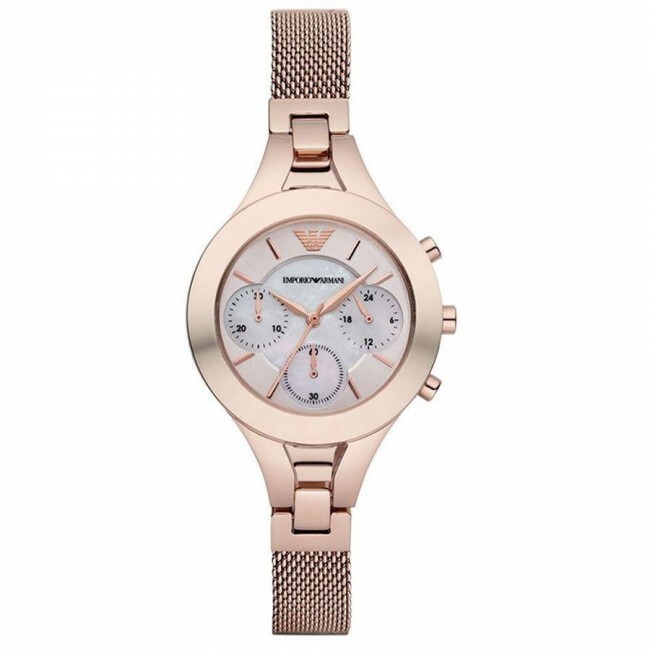 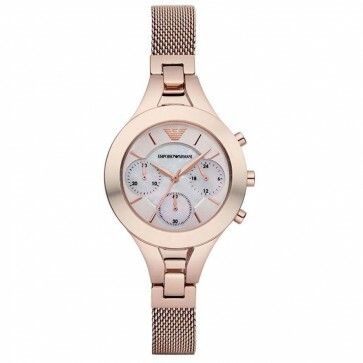 This attractive ladies Emporio Armani watch has a PVD rose plating PVD rose plating case and is fitted with a chronograph quartz movement. 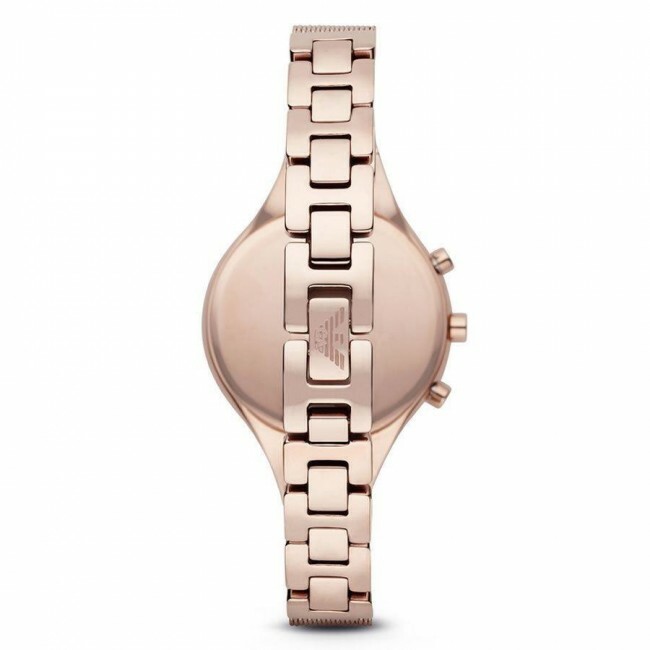 It is fastened with a rose metal bracelet and has a mother of pearl dial. 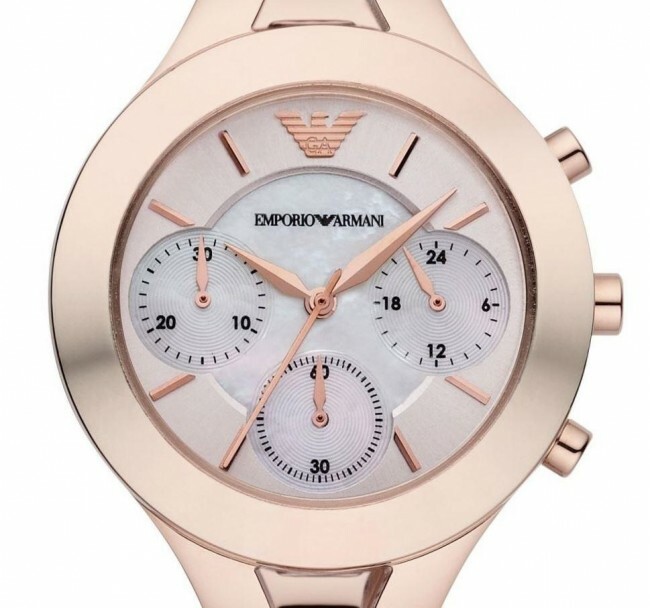 This attractive ladies Emporio Armani watch has a PVD rose plating PVD rose plating case and is fitted with a chronograph quartz movement. 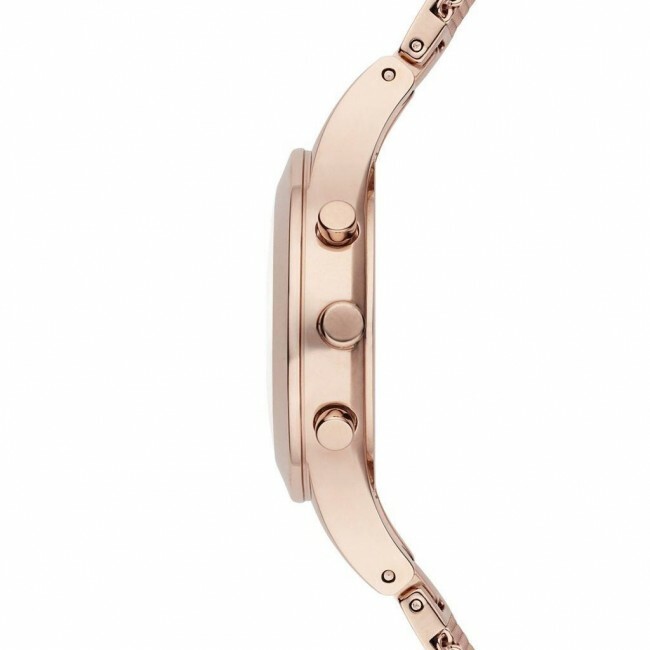 It is fastened with a rose metal bracelet and has a mother of pearl dial.